It is extremely common for modern people to have cold hands and feet, and generally, this symptom typically tends to occur during night-time sleep for one simple reason: people do not have adequate amounts of O2 levels in body cells. Exactly what does the onset of this symptom mean? Having cold hands and feet is a sign that you have insufficient blood flow (poor circulation), along with reduced oxygen supply to body cells as well as their cold extremities. This is a warning: the presence of GI parasites, including round worms, flat worms etc., can also cause cold feet! Are you wondering about the main physiological meaning of cold feet and hands? It was stated by Professor Lum in his article titled ‘Hyperventilation and Anxiety State’, which was published in the Journal of Royal Society of Medicine that having cold extremities is a classical symptom of chronic hyperventilation or breathing more than the medical norm. it further signifies that the person has less than 20 s for the body-oxygen test. Although the official diagnosis would be that of Raynaud disease or diabetes, truly speaking, it is common for all these people to have excessively heavy breathing 24/7. 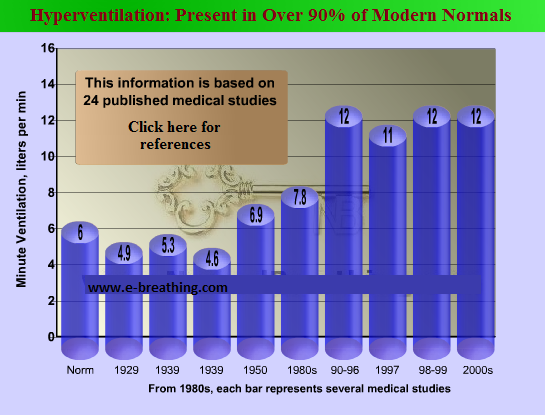 The graph presented below is based on nearly 24 medical articles, and goes on to signify the reason as to why modern people suffer so commonly from poor circulation and cold hands and feet. It also shows why cold extremities were not such a common occurring during the first few decades of the 20th century. Hyperventilation has the potential to significantly cut down on the amount of CO2 present in the lungs, which triggers lowered arterial CO2 pressure, leading to constriction of arteries and arterioles, better known as vasoconstriction. The reason for this is simple: Co2 is known as being the most potent vasodilator. Moreover, reduced CO2 triggers the reduced Bohr effect (lesser amounts of O2 is released in tissues by the red blood cells). People start suffering from cold extremities as a result. All of the extremities, along with the vital organs of the human body receive lesser amounts of blood and O2 supply. Many people suffer only from cold feet, but there are countless people out there who complain about having cold hands also. 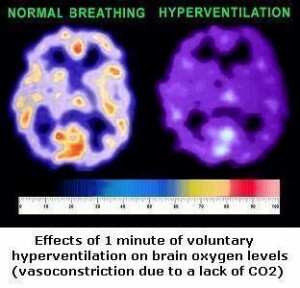 Believe it or not, but if you attempt voluntary hyperventilation, in just about 1 minute, the oxygen levels in your brain are going to be two times less, and in 2-3 minutes, there is a good chance that you just might faint because of critically low brain-O2 content. More than 170 Russian doctors have developed a simple breathing exercise that would definitely prove helpful for people having cold hands and feet. All of these doctors taught the Buteyko breathing technique to thousands of their patients, all of whom suffered from cold feet and hands. Nearly 80% of their patients claimed that they got warm hands and feet in 2-3 minutes. Earthing is yet another powerful method that is known to help with body O2 and circulation. This is because the acquisition of electrons from the Earth proves helpful for blood vessels and cuts down on inflammation. Taking a sea salt bath for cold feet is an outstanding solution to normalize voltage of the human body, and enhance circulation. Earthing can also prove extremely helpful in increasing body-oxygen content. The chronic problems that you suffer from in terms of poor circulation, along with cold hands and feet will naturally disappear if you simply normalize your automatic or unconscious breathing patterns. For this, your body O2 needs to be more than 40 seconds at all times. If truth be told, it is enough for a majority of people to even achieve over 25 seconds for the body-oxygen test so as to enhance their poor circulation. Moreover, people who suffer from insomnia can eliminate their problem by using breath retraining along with the same breathing exercise. Remember, extremely cold feet are typically caused by worm and other GI parasites, including Blastocystis Hominis. If you suffer from this problem, make sure that you get in touch with your MD or GP for lab tests and treatment purposes.